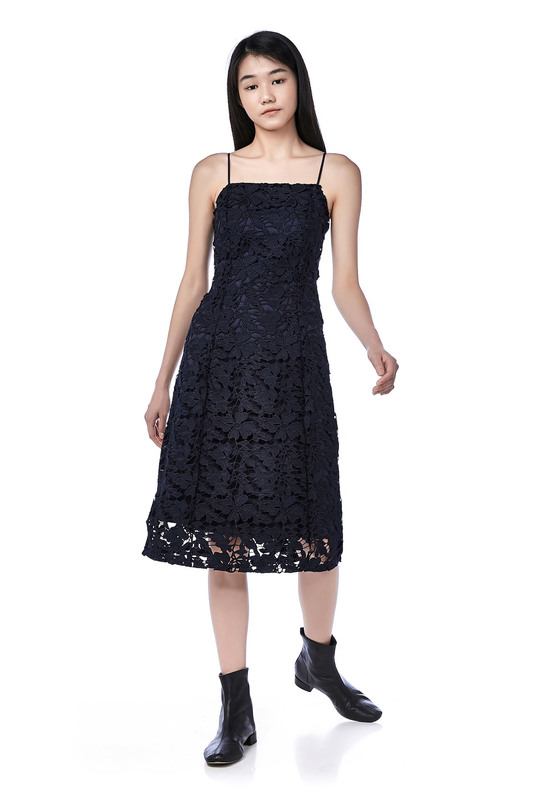 This sleeveless dress is made from fully lined crochet fabric. 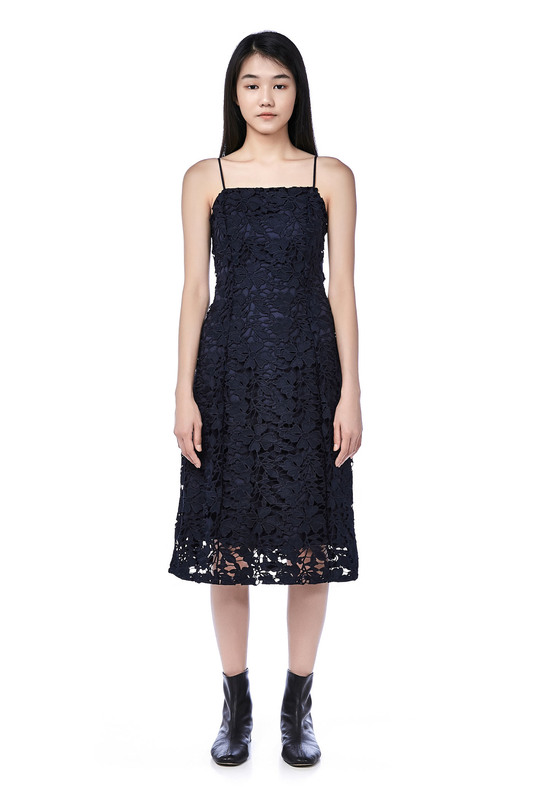 It has a square neckline with a full skirt bottom. Made in a slim fit with zip closure on the back.